This seems to me a perfect analogue to the pleasure of editing. Smoothing rough prose is satisfying in the same way that ironing is satisfying. You start with something less-than-presentable and end up with something you can wear proudly. 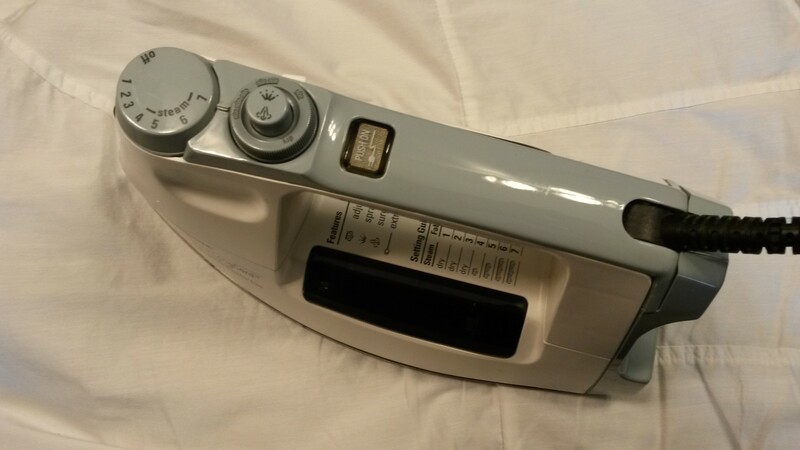 Of course, to iron well or edit well, you need reliable appliances. 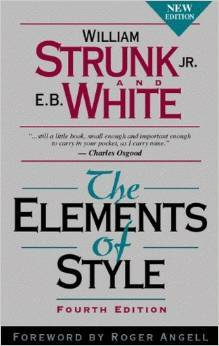 When I began writing professionally, my bible was Strunk and White’s Elements of Style, mostly because it was what I used in my college and graduate school writing courses. I still have that slim paperback somewhere. Recently, I have taken on some professional editing jobs. This caused me to break down and buy a new style manual. Editing the words of others requires a more definitive (and up-to-date) style guide. 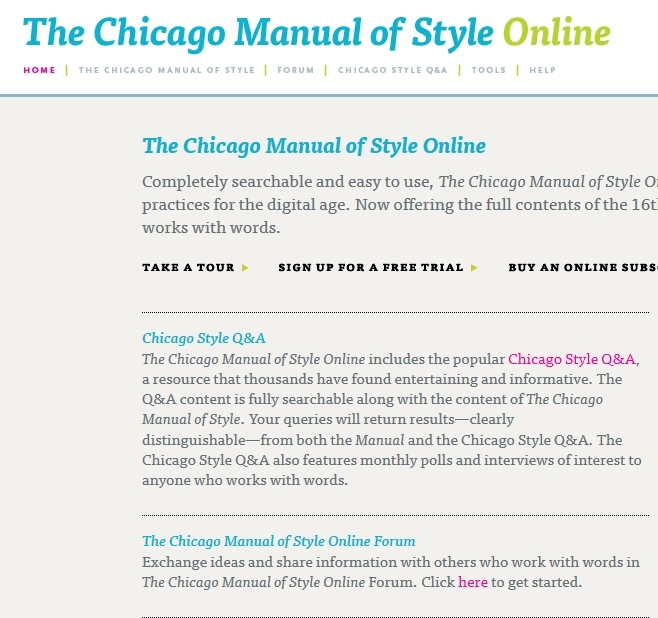 So I bought a one-year subscription to the Chicago Manual of Style Online. I look forward to getting answers to all sorts of tricky questions, such as the correct adjective to describe people who live in Argentina. Argentine, Argentinian, or Argentinean? I couldn’t find that tidbit in the manual, but there were some discussions in the online forum. Lest I come across as a grammar-obsessed quibbler (any fellow serial comma devotees out there? ), I’ll say that I try not to be slavish about adherence to style. In fiction, it’s fine to break the rules. For a good reason. (Like emphasis.) But when I’m being paid to edit the work of others, I need a consistent guide to the choices I’m suggesting, and, occasionally, a neutral third-party to help make my point. That said, I loved the recent New Yorker article by long-time copy editor Mary Norris, “Holy Writ: Learning to Love the House Style.” If you have ever tried to iron the wrinkles out of a piece writing, you’ll enjoy what she has to say. If you’re a writer, what do you find satisfying about working with words? Do you like editing, or would you rather let someone else do the ironing? Are you a robot? I am. But it seems your unhealthy obsession is serving you well, both professionally and personally! Thanks for commenting. Also wonderful analogies. Ahhh, indeed! Another lover of editing here. This is new territory for me — happened after I joined a critique group, and found myself piping up, suggesting rearrangements, pulling out extra words. My writing buddies egged me on, not taking offense, bless them. Good reminder to me to dust off the Elements of Style. Thanks for the link to the Mary Norris article. Happy editing. It’s so nice to hear from so many fellow editors! It gives me hope for the language, even if we are the only ones who seem to care. I am practically a compulsive editor – of my work or anyone else’s. (Sometimes it interferes with my enjoyment of reading , even books from traditional publishers.) I think of it as polishing, as of a gemstone. I surprises me that you’ve gotten several others here to admit that they enjoy it when so much of the time all you hear comes from the folks who hate it. Compulsive! I would describe myself that way too. I’ve also had to give up on books (even professionally published ones) that distracted me with rough editing. I have heard that book mentioned by a number of writers. Probably time for me to check it out! I love editing, too. I think I’ve mentioned before how I feel like I can finally relax when I get to that point. I have the Chicago Manual of Style in textbook form and refer to it often. But I should probably invest in the online version. Would be more practical. I debated–paper or electronic. The nice think is you don’t have to pay annually for the paper copy. The downside: limited desk space!